When we went to Kingston’s booth at CES 2015 last month, we got a chance to check out a ton of new memory products including new memory, SSDs, memory cards and flash drives. 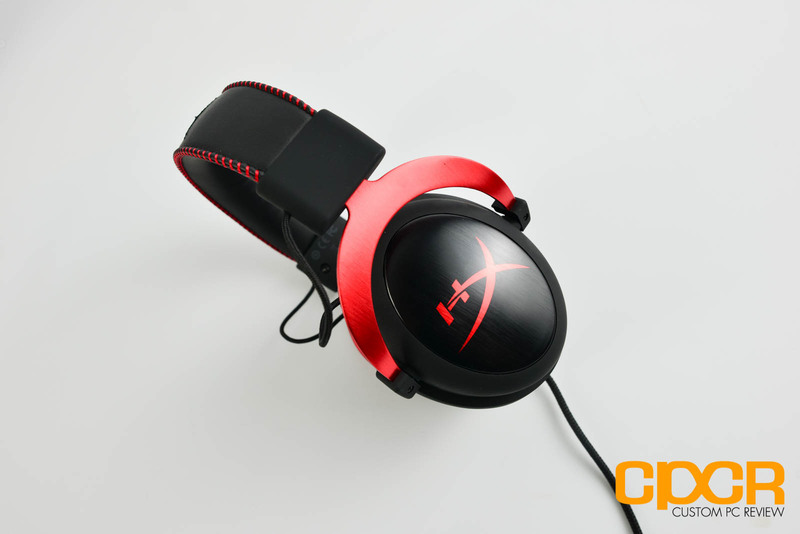 Along with their plethora of memory products, Kingston is also pumping up their peripherals lineup with a new gaming headset and some upcoming gaming mousepads as well. 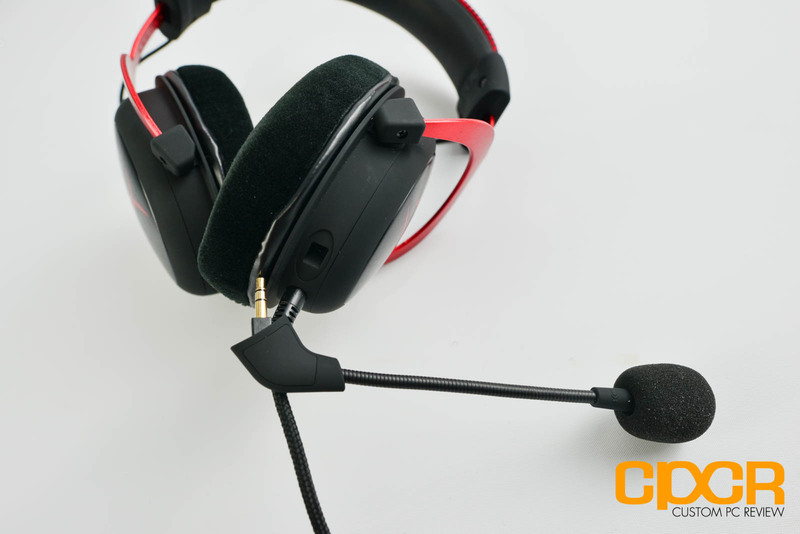 Today we’ll be reviewing their new gaming headset, the Kingston Cloud II Pro Gaming Headset. 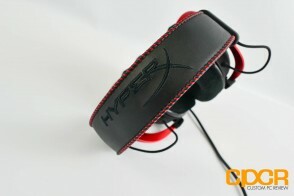 Now the first generation Kingston HyperX Cloud headset was a pretty good headset. 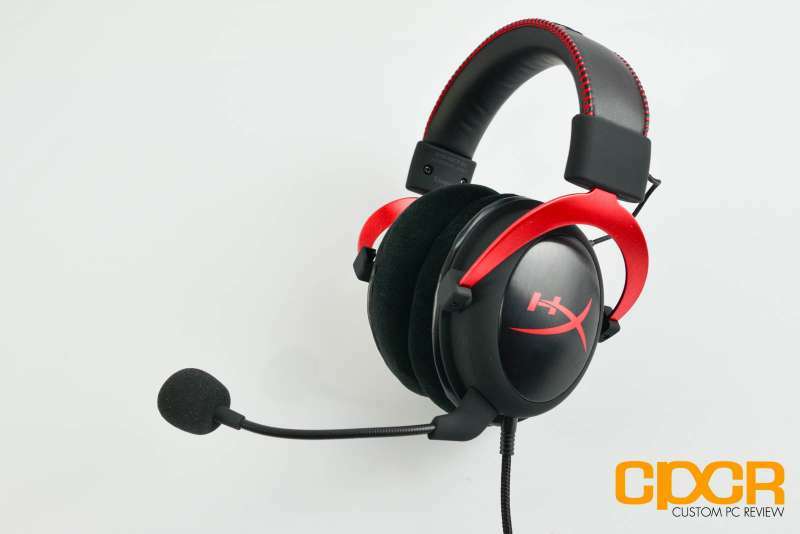 Although we only got to test the headset at various events, we were fairly impressed with it as it not only sounded very good, but was quite comfortable as well. Considering that it had a pricetag of under $100, it was a pretty good deal too. The HyperX Cloud II is largely the same as its predecessor. 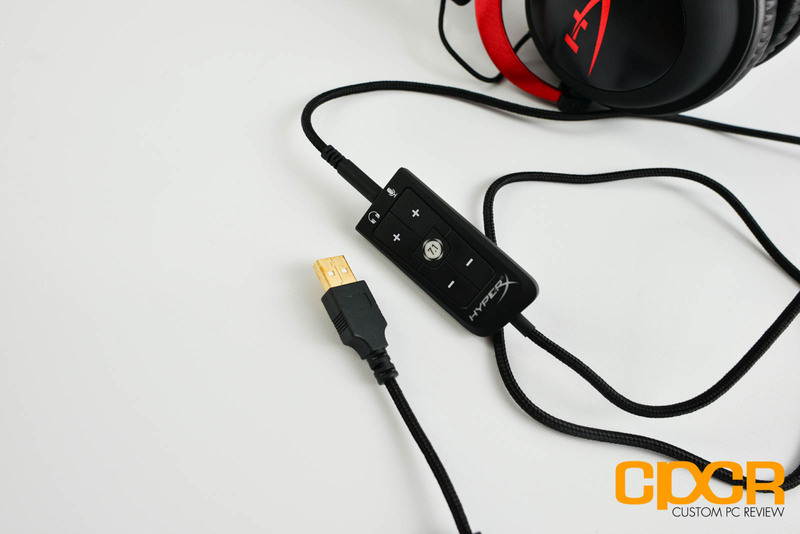 It keeps the same 53mm neodymium drivers that made the original HyperX Cloud famous, but the biggest change is that it now includes an external sound card with a dedicated Digital Signal Processor (DSP). Kingston tells us that not only will the sound card ensure higher quality sound, it can also drive simulated 7.1 surround sound via the hardware. 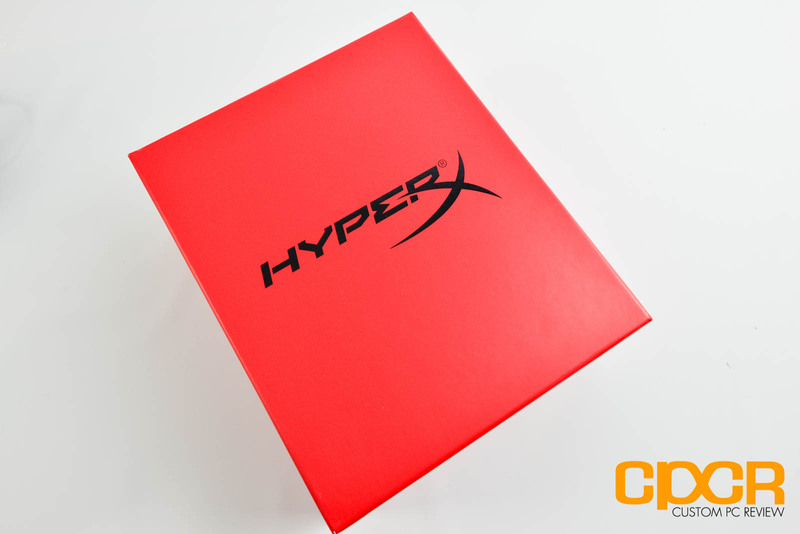 Let’s take a closer look at the Kingston HyperX Cloud II. 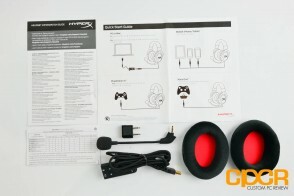 Here’s a look at the packaging for the Kingston HyperX Cloud II Pro Gaming Headset. 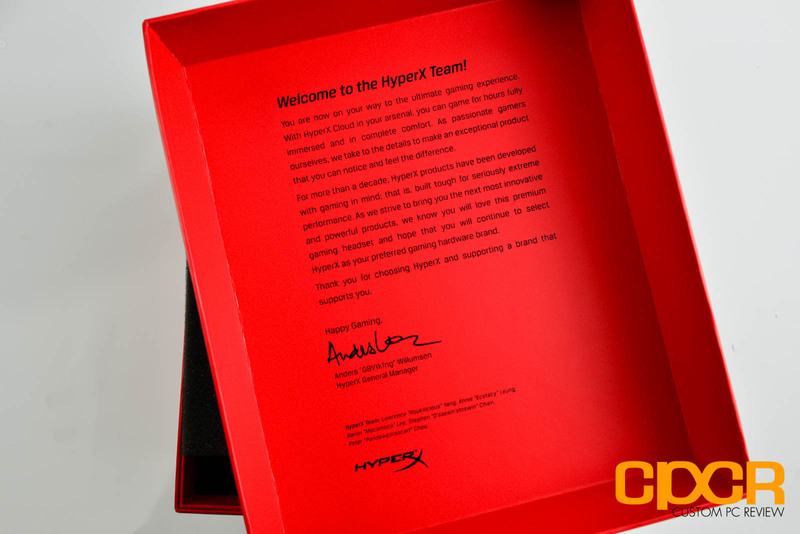 The Kingston HyperX Cloud II came in a pretty serious box. Inside the lid, there’s a nice message for its buyer. 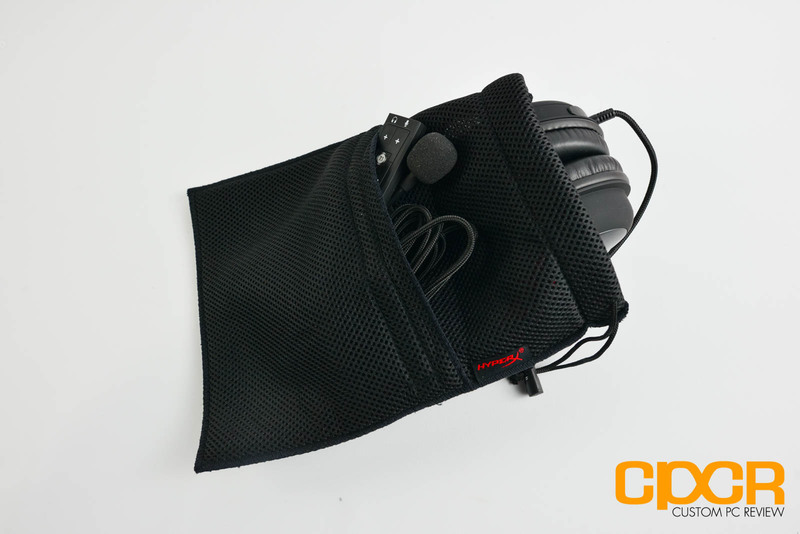 The Kingston Hyper X Cloud II comes packed with the detachable mic, a USB control module (soundcard), an airline adapter, an extra pair of velour earpads, and a mesh carrying pouch. 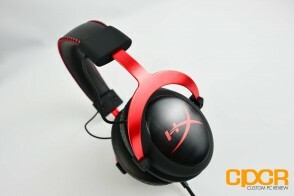 Here’s a closer look at the HyperX Cloud II pro gaming headset. It’s a very good looking headset carrying Kingston’s signature red and black HyperX color theme. Kingston will offer the headset in gun metal and a limited edition pink as well. Although it’s covered by padded leather bounded by some heavy-duty stitching, the core of the headband is crafted from metal. The metal headband is extremely smooth and lightweight. Aside from the headband, the rest of the headset is made from plastic. 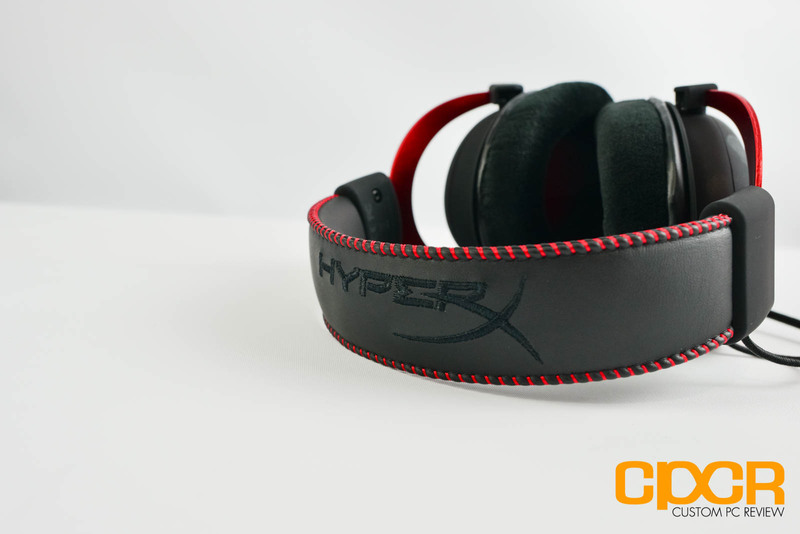 The HyperX Cloud II comes pre-installed with memory foam leather earpads. They’re extremely soft and feel pretty durable as well. The earcup cutout is huge, so there should be plenty of room for even larger ears. Kingston also provides velour earpads for those who prefer the more airy, open feel of velour. 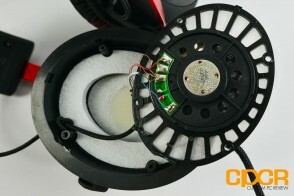 Here’s a look at the 53mm driver inside the earcup. Soldering here is decent and there’s nothing too special to note. There is a nice piece of foam surrounding the driver which should help improve audio isolation and bass response. 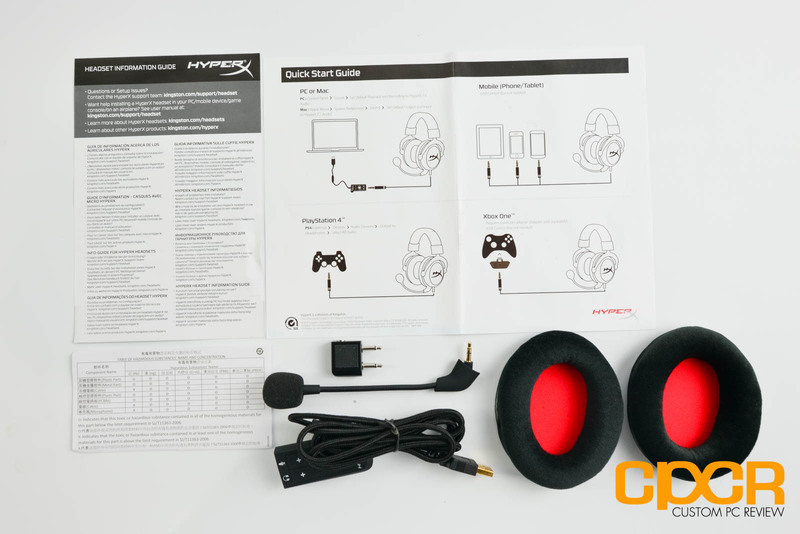 Included is also a detachable microphone which attaches to the bottom of the headset. The base of the mic is fixed so unfortunately it doesn’t swivel. The headset uses a 4-pole 3.5mm jack for its primary input. This allows both audio and microphone to be carried using a single jack. 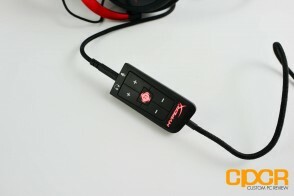 Kingston also provides a USB soundcard that the headset can be plugged into. The soundcard has some basic media controls along with a 7.1 button at the center which activates hardware surround sound. The nice thing about the control module is that no software is required. In order to test the Kingston HyperX Cloud II, I’ll be testing both its quality along with some real world listening testing. Quality testing mainly tests the headset’s construction quality and helps burn in the headphones. In order to do this, I played a low frequency sound that simply rumbles the drivers to see if there’s any apparent issues with the driver housing. 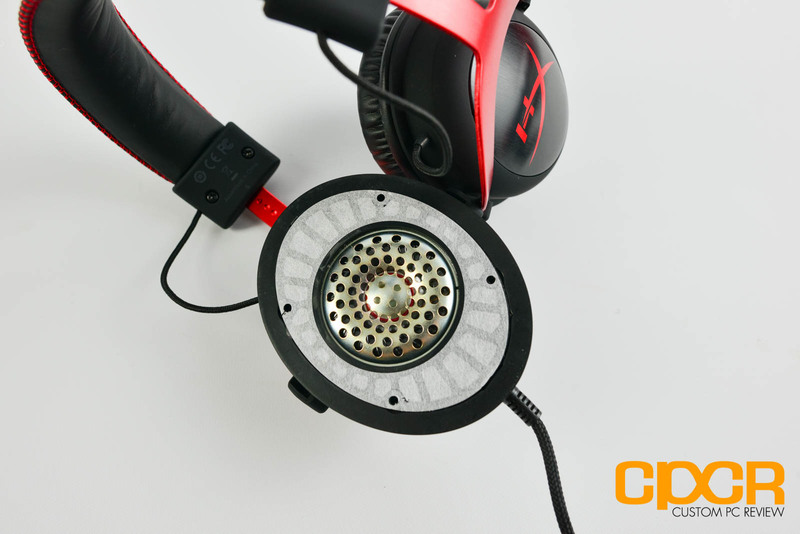 Lower quality headphones tend to vibrate or hiss resulting in unwanted rattling sounds in the audio. I then put the headset through a multitude of real world use cases using both the 3.5mm connector connected directly to the PC as well as the 3.5mm connector connected to the included USB sound card. 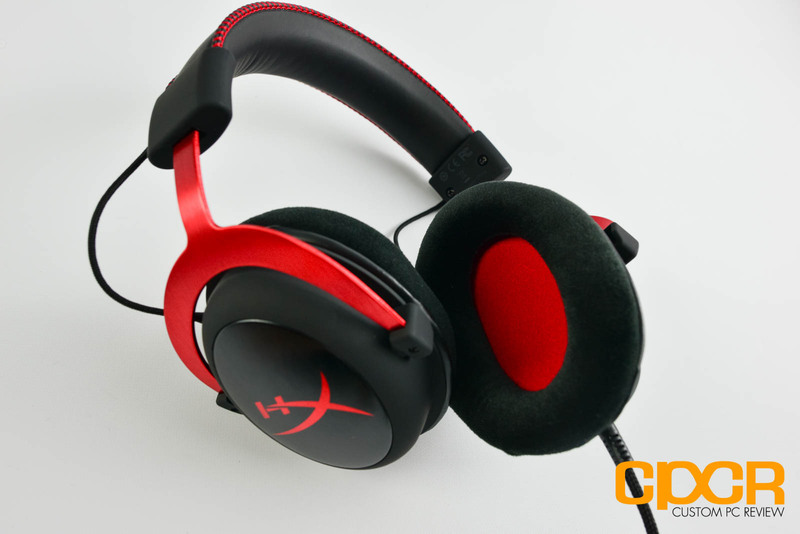 The Kingston HyperX Cloud II Pro performed very well during my quality testing. There was no big issues with the quality of the driver housing however, I did notice a small clicking noise when the drviers are overdriven. This shouldn’t be a problem in typical listening scenarios. 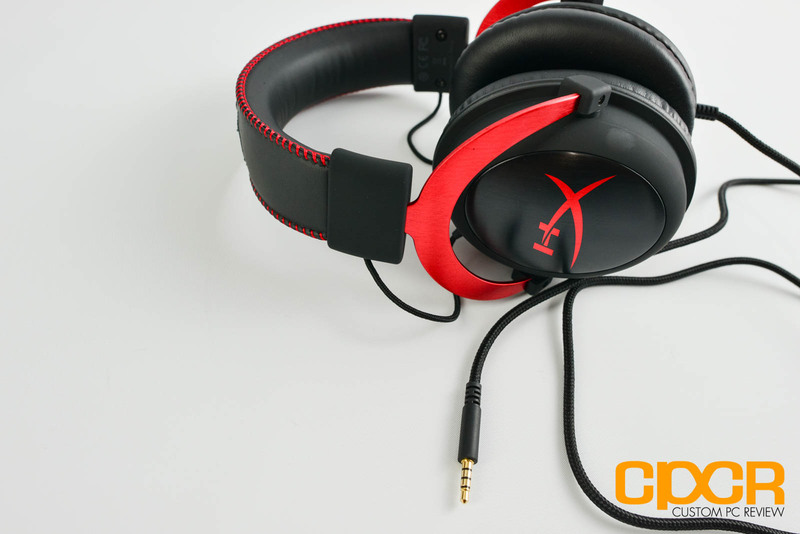 For a headset with 60 Ohm impedance, the HyperX Cloud II Pro is very loud even without the aid of its in-line sound card. This is likely due to its massive 53mm drivers. Throughout testing however, one thing I noticed is that the USB soundcard introduces a bit of a hissing sound when the audio is quiet or when there’s nothing playing. This is likely an issue of interference or poor grounding, which is common in cheaper USB sound cards that lack proper audio jack filtering. The hissing isn’t noticeable when audio is playing and this isn’t an issue when the headset is connected to a discrete soundcard such as the Creative Sound Blaster ZxR. The first order of testing for the Hyper X Cloud II is of course EA’s Battlefield 4. A couple minutes into the game, the first thing that struck me was its level of detail – every sound effect, light or heavy, can be sharply discerned from each other. Stereo imaging was great as well which made it easy to discern where sounds were coming from. Bass was also quite powerful which made gameplay extremely immersive, but it was slightly overpowering and oversteps some quieter sound effects. Overall sound quality was clean, with no noise or apparent distortion present throughout gameplay. Virtual 7.1 surround worked quite well here as well which helped improve the immersion in game. Sounds from the front, the back, the front left, etc. were definitely more apparent with virtual 7.1 surround enabled although the same thing can still be achieved with a 3rd party application such as Razer Surround. 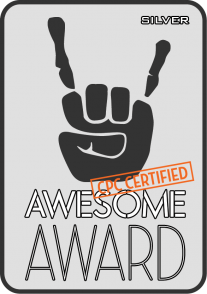 The music test is composed of a variety of genres including classical, rock, and jazz to cover most sound ranges. Overall the audio detail is still what pops out at me the most. Listening to classical pieces, the stereo imaging is accurate, although the soundstage does feel a bit limited. The bass was still a tad heavy especially for classical and vocal heavy music, but I didn’t find it completely overwhelming. The bass itself however, was deep and clear, which is great for EDM or anything with a heavy bass beat. No distortion was present while listening to the tracks. Movie testing was done using a Blu-Ray copy of Pacific Rim, which has a fantastic DTS-HD Master Audio 5.1 and 7.1 audio track. The HyperX Cloud II was again excellent across all ranges. The slightly overwhelming bass response actually helped out here since the film is saturated with bassy roars and explosions. The large earcups and drivers all came together to create an expansive, immersive sound stage which was helped out by the USB soundcard’s 7.1 surround sound function. The HyperX Cloud II’s leather covered memory foam earpads provided ample of noise cancellation. All light ambient noises were eliminated, and the the distinct ‘click’ from my Cherry MX Blue keyboard was dampened significantly. Unfortunately since leather isn’t a very breathable material, my ears heated up rather quickly, but Kingston does include a set of velour earcups which don’t get nearly as hot, but they were also much less sound-proof. 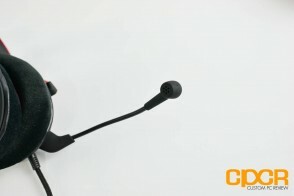 The microphone was acceptable for something designed for a gaming headset. Although my voice sounded relatively flat and lacking depth, it was clear and noise free. My only gripe with the microphone is that by design it can’t be swiveled up and down. You have to either bend it away from your face or remove it. Alright, so with testing out of the way, let’s conclude this thing. 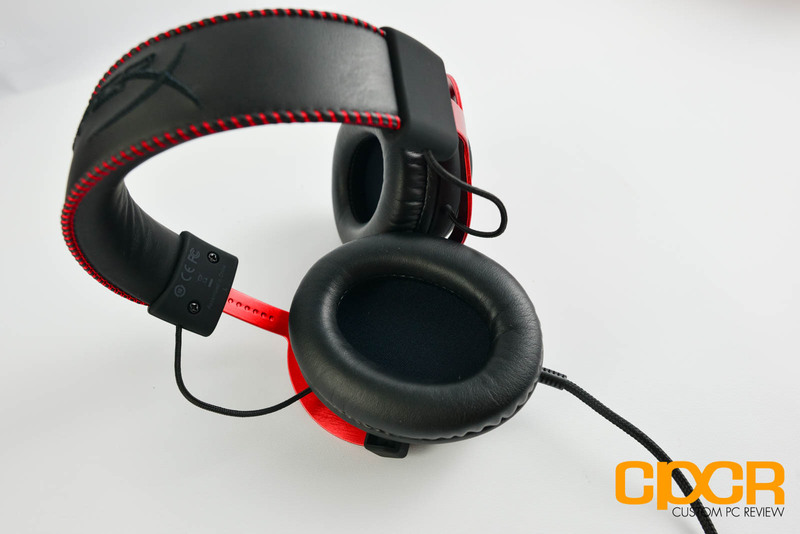 Starting with design, the HyperX Cloud II Pro’s humble appearance doesn’t make it the coolest headset ever built, but it’s decent and the entire unit feels both polished and refined. There’s no complaints when it comes to its excellent build quality – you won’t find any plastic creaky headrest or brittle earcups on this headset. 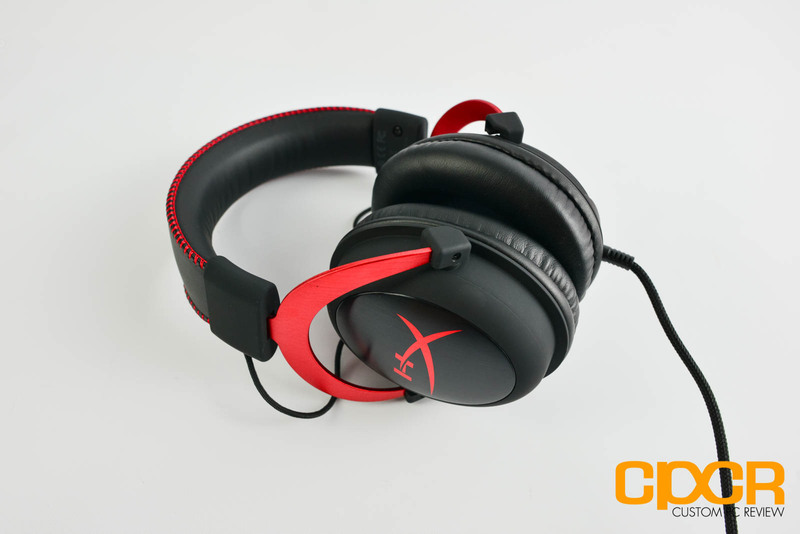 I’ve got to hand it to Kingston, the HyperX Cloud II Pro ranks as one of the most comfortable headsets I’ve ever worn and I don’t find headsets all that comfortable to begin with. The ultra-soft memory foam padding hugged my ears very well, which also helped form a good seal to block out noise. There was plenty of room inside the earcup to fit my ears comfortably as well. The improved headband padding did a good job at distributing its weight evenly across the top of my head although the headset doesn’t weigh that much to begin with anyway. Performance is where things gets a little wonky. 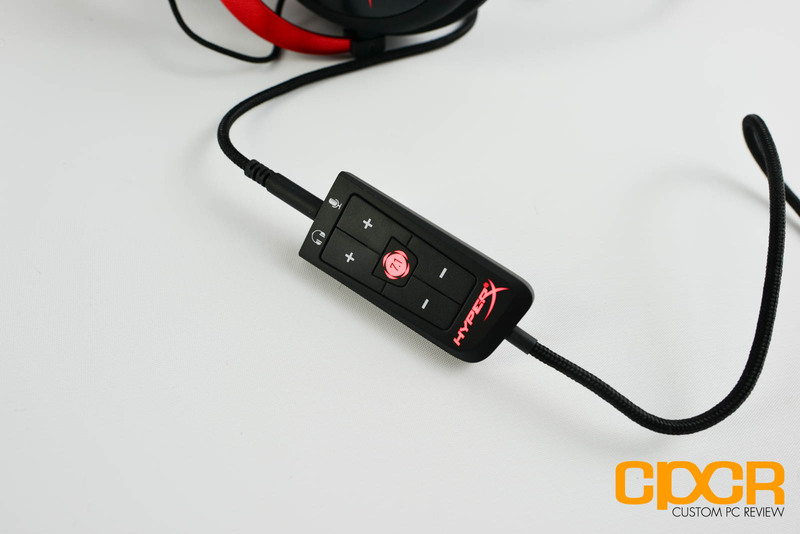 The Kingston HyperX Cloud II Pro is capable of great sounding audio, but only when it’s connected directly using the 3.5mm analog connection. When using the analog connection, the HyperX Cloud II achieved a very impressive level of detail for a gaming headset and its its large 53 mm drivers delivered bass that was nothing short of phenomenal – its deepness and clarity make it a fantastic product for gaming, movies, and music with a heavy focus on bass. This then brings me to my main gripe with the headset which is the low end USB soundcard. Because it’s not software driven, there’s no equalizer for you to change the sound signature and when connected, it introduces a small hissing sound that can be heard in the background. The hissing got even louder when I enabled the hardware 7.1 surround sound probably due to the gain from the DSP which is pretty annoying. 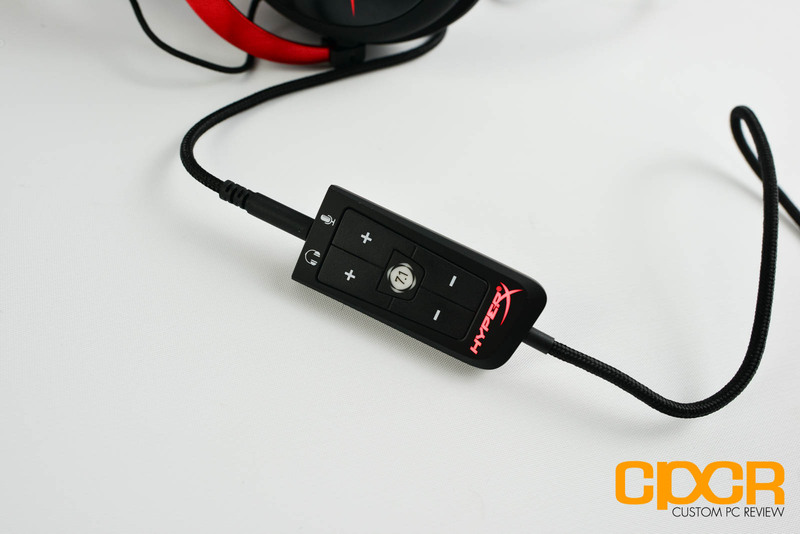 I found myself using a discrete sound card more often than not, but since Kingston doesn’t include a 4-pole to dual 3-pole adapter, the microphone no longer works if you just plug the headset directly into a soundcard or onboard audio. The microphone audio quality was acceptable for VoIP communications. Sound quality was mediocore as well but clear enough for Skype calls and such. It’s nice that it’s flexible enough to get out of your face, but it would be much nicer if it could be swiveled out of the way entirely. Aside from that, the Kingston HyperX Cloud II retails for ~$99 at various retailers, which I think is pretty reasonable. Would I recommend getting the Kingston HyperX Cloud II Pro? Yes and no. If you can afford to go with a decent discrete soundcard and a headset, a decent discrete soundcard will sound much better than Kingston’s USB soundcard. 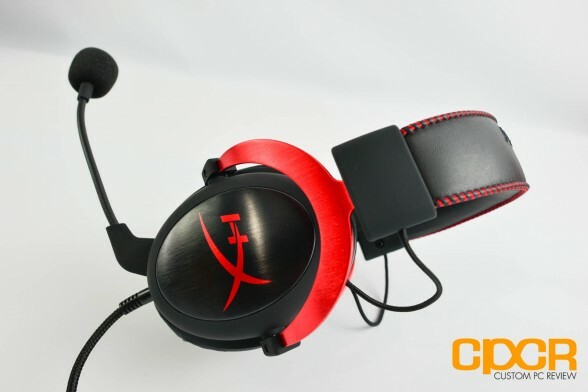 Considering the original HyperX Cloud is pretty much the HyperX Cloud II without the USB soundcard, I’d save the extra and go with the original plus the discrete soundcard. 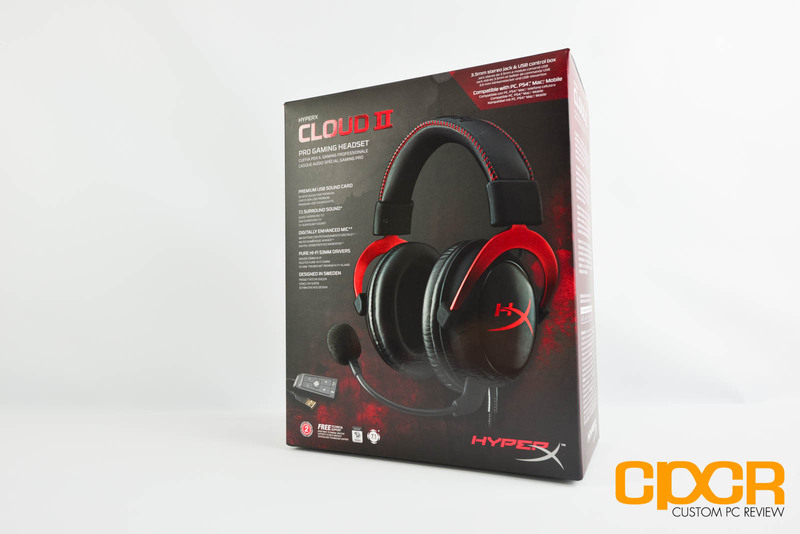 However, if surround sound is your top priority and a discrete soundcard isn’t an option, then the HyperX Cloud II Pro deserves a hard look. With its great performance and top notch comfort you just can’t go wrong.